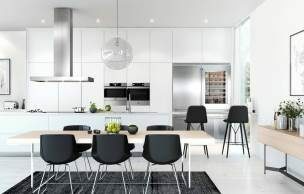 Water and energy-efficient appliances are in demand, particularly kitchen products made by ASKO, where durability, versatility and performance are all enhanced. ASKO dishwashers target grime with personalised controls, tailored wash cycles, and powerful jets that do the pre-rinse for you, with every feature designed for maximum water efficiency. How much water does a dishwasher use? Although hand-washing may have been a reasonably water-wise procedure in the past, today’s dishwashers are in a whole new league. The utility of a dishwasher is its ability to wash dishes faster, better, cleaner and with less water, and ASKO dishwashers tick all the boxes. 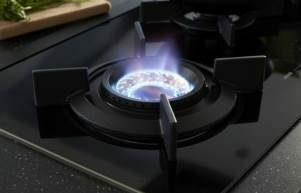 High energy and water-star-rating ASKO appliances use as little as 10 litres of water and 1 kilowatt-hour of energy per load; a feat even the most frugal people will find difficult to match while hand-washing the dishes. Pre-rinsing isn’t required with ASKO dishwashers, and your powerful appliance can handle extremely hot water to ensure a squeaky-clean finish. Which dishwasher uses the least water? At first glance, it would seem that a smaller dishwasher should use less water. 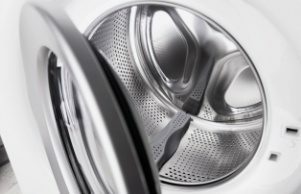 While this may hold true for a single wash, you still require an appropriately sized dishwasher that suits the needs of your household. An overused small dishwasher will ultimately use far more water than a large, efficient ASKO dishwasher with a 6-star water rating. One reason ASKO provides dozens of dishwasher choices is so you have the perfect options for your home. We understand the dynamics of modern households, where meal times are staggered, and dishes can build up fast. Our easy-stacking, fully adjustable, completely programable, self-cleaning dishwashers are the solution, allowing your kitchen to hum along harmoniously even during busy and productive times. In other words, modern dishwashers can be tailored to your exacting needs, with programs guided by a high definition control panel and easy to navigate icons. 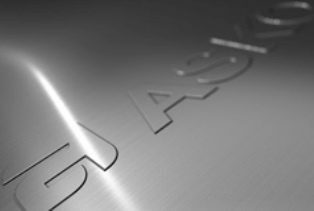 The union between technology and manufacturing has been a happy one for ASKO, allowing every household to function optimally by using the best energy and water-efficient dishwasher possible. Are ASKO dishwashers water efficient? ASKO dishwashers are incredibly water efficient, as evidenced by consistently high water-star ratings. 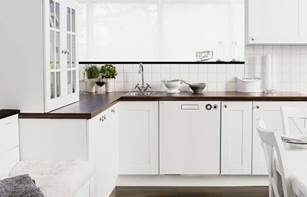 The ASKO ideals have remained unchanged since Karl-Erik Anderrson built his mother a superior, durable washing machine in 1950, and users around the world are appreciating the ASKO difference. An ASKO dishwashing cycle uses less water than it takes to fill up the kitchen sink and wash the dishes by hand, and when extremely high temperatures and targeted, pressurised water are applied to dishes and pans, there is nowhere for food scraps and residue to hide. ASKO are multifunctional appliance innovators who are dedicated to appliance efficiency and savings on water and utility bills. 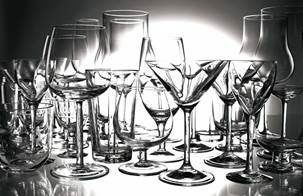 How can I help save water when using a dishwasher? With ASKO, the appliance automatically adjusts the cycle according to your personalised input. The high definition display panel provides access to dozens of programs, features and modes that enrich the dishwashing experience and achieve superior results. Simply by using your ASKO washing machine as directed, you are guaranteed to save water with every wash, and as ASKO appliances are long-lasting, durable and reliable, the savings continue to add up. How do you drain water from a dishwasher? The dishwasher tub, inlet hose, spray arms and filters are all easily disassembled and replaced, making cleaning a breeze and ensuring your ASKO dishwasher always performs with optimum energy and water-efficiency.